A snow squall causing whiteout conditions was the cause of a massive 25+ vehicle accident hitting the southbound lanes of U.S. Route 222 in Berks County, Pennsylvania. Given the number of people injured, the Berks County dispatchers declared this a “Level 2 Mass Casualty,” which means at least 25 people were hurt. Police confirmed that the total injured was 24, 15 of whom were evaluated at the scene, nine were taken area hospitals, while the rest were reunited with their families. Out of the nine people hospitalized, two were critically injured. Among the vehicles involved in the accident were two big rigs, a dump truck, and a large box truck. This wasn’t the only whiteout accident in the area Wednesday afternoon. Three other people were hurt in a 15-vehicle crash on 1-78, in Windsor Township, Berks County, Pennsylvania. This one included eight commercial trucks and six passenger vehicles, but no life-threatening injuries. As reported by the Morning Call. 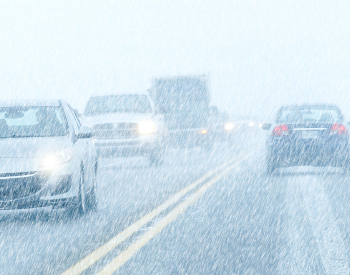 With the winter upon us, snow squalls are no stranger to this season; therefore, it is important to be prepared and to stay up-to-date with the latest forecast and travel conditions when getting on the road. A snow squall is a sudden but intense snowfall that leads to a reduction in visibility and often is accompanied by gusty winds. Though the snow accumulation is not typically significant, driving conditions turn dangerous due to low visibility and also quickly forming ice, leading to high-speed crashes and pileups. What Are Some of the Safety Measures I Can Take to Prevent a Snow Squall Accident? Don’t slam on the brakes: With the roads being slippery, slamming on the brakes will contribute to loss of control and will increase the risk of a chain-reaction crash.